Feilding locals Chris and Edwina have owned and operated Manfeild Autocentre since 1993. 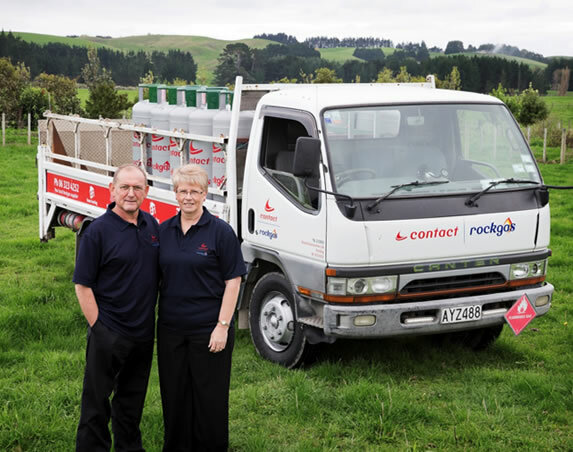 Together with our dedicated team, we offer a range of services to our local community, and anyone lucky enough to be passing through Friendly Feilding. We take great pride in our business, and have been recognised with awards for Contact Rockgas LPG Franchise of the Year, MTA Safety Award for our workshop, for our forecourt. We are much more than a petrol station, offering many complimentary services in one convenient location. We have ongoing opportunities for service-oriented people to join our Forecourt and Workshop teams. Training provided.